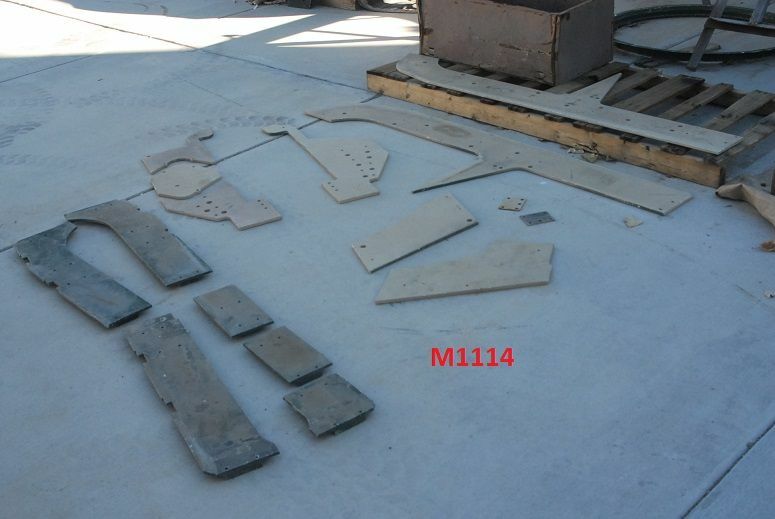 Set of side 1/2" aluminum overlay for M1114. Tan parts go outside, green parts are internal stiffener plates. $ 1700 plus fastenal shipping on pallet.